Why is it that poor children seem to do consistently worse academically than middle class kids? On the other hand, why do some wealthy children fail or breakdown while occasionally kids from the mean streets of urban neighborhood, can reach monumental heights of success? Is it just IQ or temperament, or is there something else? Something that has to do with the innate character and perseverance of the child? 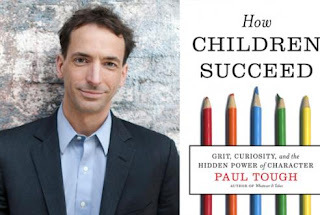 Paul Tough, who introduced many to the work of Geoffrey Canada and the Harlem Children's Zone and who is a contributing editor the NY Times Magazine, has spent a year reporting on what makes kids succeed and fail in school and in life. How Children Succeed: Grit, Curiosity, and the Hidden Power of Character, is the result of that effort. Change you have to believe in. Rahm Emanuel, the current Mayor of Chicago and the President's former Chief Of Staff said, during the height of the economic crisis "that you should never let a serious crisis go to waste." Obama did not. 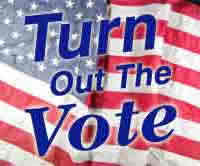 And now Time Magazine senior editor Michael Grunwald shows how the Obama administration heeded that advice. Grunwald argues that the stimulus, that helped to save the US economy, a stimulus that we’re barely talking about in the context of the current election, was one of the most profound pieces of legislation since the New Deal. It is perhaps the 800 billion pound gorilla that is reshaping America..
Each day we are confronted by some kind of ethical dilemma. 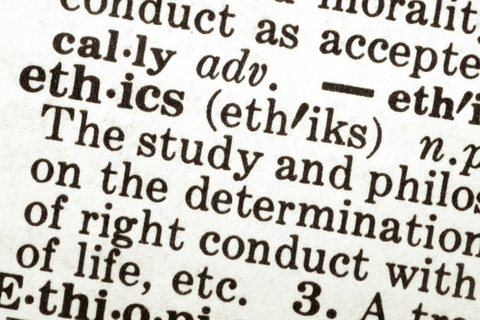 As life gets more complicated, as technology and speed often exceed our ability to handle it, ethical questions seem more frequent. Perhaps it's because we are looking for some grounding. Some basic set of core ideas or principles that might provide a true north to help make everything else easier. 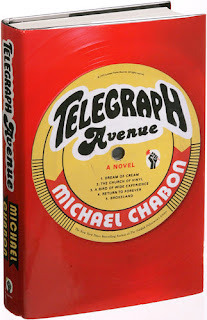 Set in 2004, in Berkeley, Michael Chabon's new novel, Telegraph Avenue, his first in five years, gives us characters trying to hold back the end of an era; a time when 70's values and ideas are fading into the sunset, and the full onslaught of the 21st Century is coming upon them. Back in 1966, James Brown first recorded "It's a Man's, Man's World." 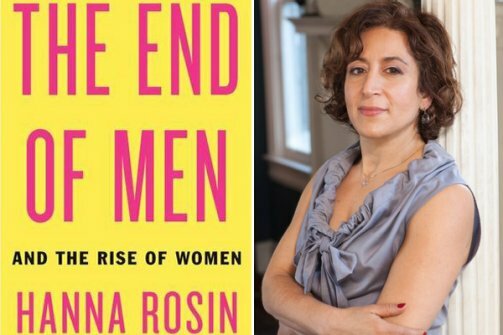 1966 was a time of Mad Men, it was the same year that Betty Friedan founded NOW, and three years after the publication of the Feminine Mystique. Today, 46 years later, women are dominating almost every aspect of society; work, education, culture and personal lives. How did we get here and what does it mean for our future? In a way it’s a perfect storm. The changing nature of work, the move from an industrial to an information based economy, requiring a different set of skills, plus the social revolution of the 60's, the civil rights movement, title IX, and finally the failure, around the world, of patriarchy in all its forms, all played some part. As a result, have we reached the end of 200,000 years of human history OR is this simply a mid course correction on the road to greater gender equality and the full flourishing of both sexes? Atlantic senior editor Hanna Rosin brings it all into focus in her bestselling book The End of Men: And the Rise of Women . 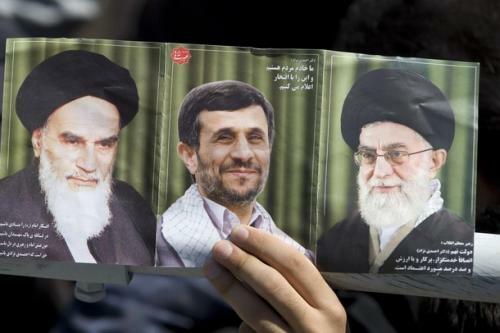 As students yelled “death to the Shah” in 1979, it set in motion a chain of events, an anti Americanism, that has become a part to the DNA of the country itself. Trying to understand it, and treat it has been one of the central pillars of our foreign policy. 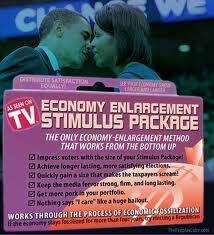 Yet with each successive treatment, the disease always threatens to burst out and become full blown. This is where we are once again, and why we need take a look as new book by the senior historian for the federal government, David Crist. 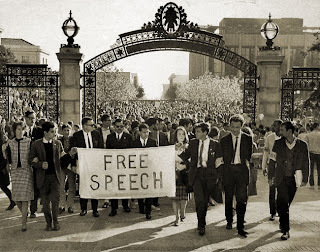 As we continue to re-litigate the 60’s, it's worth remembering that the FBI’s war on student radicals, particularly at UC Berkley, was responsible, perhaps more than anything else, for Ronald Reagan’s rise to power. Today we know better. While working as an investigative reporter for the San Francisco Examiner and the San Francisco Chronicle, Seth Rosenfeld sued the FBI five times, over 30 years, to obtain confidential records under the Freedom of Information Act. Eventually compelling the FBI to release more than 250,000 pages from their files. 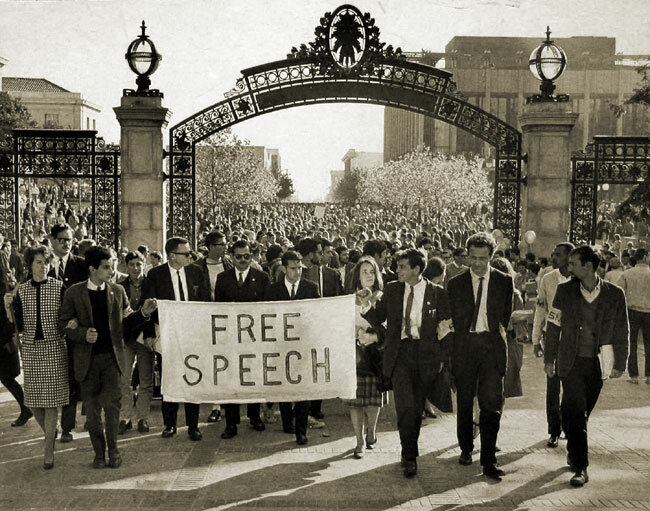 In his remarkable book Subversives: The FBI's War on Student Radicals, and Reagan's Rise to Power, he painstakingly recreates the dramatic and unsettling history of how J. Edgar Hoover worked closely with then California Governor Ronald Reagan to undermine student dissent, arrest and expel members of Berkeley's Free Speech Movement, and fire the University of California's president, Clark Kerr. 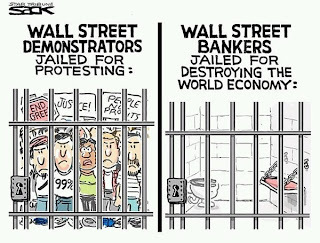 To date, there has not been a single prosecution, much less a serious investigation into the events that brought the US economy to its knees. The SEC has not changed the rules, the Senate has repeatedly kowtowed to the big banks and "too big to fail" is still the name of the game. 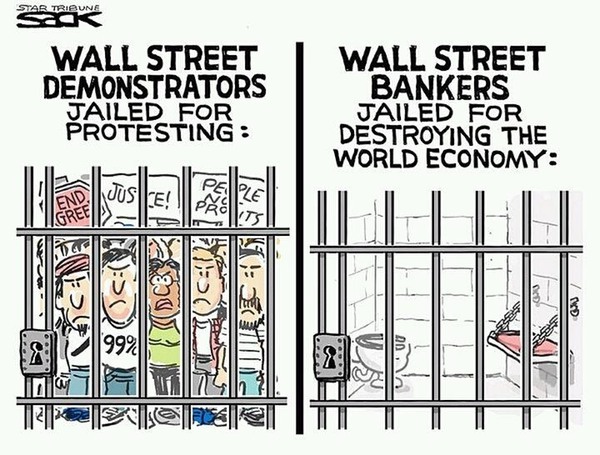 Are these just random issues, or is Wall Street simply too powerful for any part of the government to take on? Or should it even try? Former White House and Senate staffer, Jeff Connaughton takes a look at all of this in The Payoff: Why Wall Street Always Wins . Technology and creative destruction have impacted every aspect of society; from how and what we buy, to the movies we see, how we listen to music, get mail , go shopping, and do virtually everything. It should come as no surprise then, that it’s also changing the way we do politics. The only question is, why has it taken so long, why hasn't it been reported, and how will it impact those who lead us and the kind of democracy we have? In his new book The Victory Lab: The Secret Science of Winning Campaigns , journalist Sasha Issenberg reveals the increasingly technical and micro-targeted tactics and strategies being employed by major political campaigns, including those of Barack Obama and Mitt Romney. For eleven years U.S. foreign policy and even domestic attitudes about our place in the world, have been shaped by the reaction to the events of 9/11. But that reaction did not take place in a vacuum. In many ways, as we are coming to learn, the Bush administration's reaction was shaped by what they knew, when they knew it and what they did or did not do about it. Further the mistakes made in the eighteen months after 9/11, created a kind of alternative universe in which policy was shaped not by real events, but by a perception of reality, shaped by repeated mistakes. This is the backdrop for prize winning and best selling author Kurt Eichenwald, in his new work 500 Days: Secrets and Lies in the Terror Wars . Two Hundred and Fifty years ago, Alexis de Tocqueville tried to figure out what made America tick. He traveled the country, talked to people and came away with a pretty good and enduring idea of America's character. 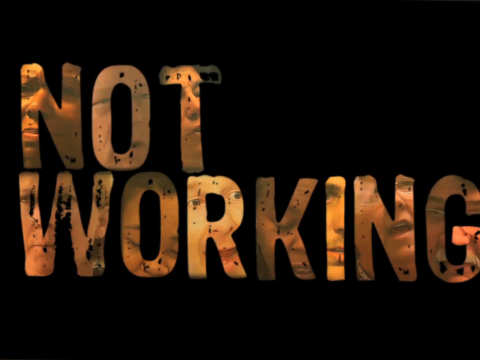 In the post-depression years, Studs Terkel in his seminal project, "Working," gave us the best picture yet of working men and woman. In so doing he raised popular oral history to an important and respectable level. He gave people a chance to talk and gave all of the country a chance to listen and better understand each other. 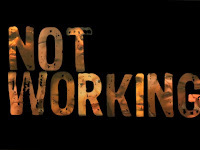 Today, it is those who are not working, who are experiencing the real personal pain of economic dislocation, that we must understand in order to better understand each other. DW Gibson, has traveled the country to compile and tell these powerful and unifying stories in his book Not Working: People Talk About Losing a Job and Finding Their Way in Today's Changing Economy Rather than the “long tail” of technology pulling us apart, as some claim, perhaps these stories really are the key to bringing us together. Today the Wine Country has become the Hollywood of celebrity chefs. But back in the 50’s there was no cooking channel, and their were no foodies. There were just TV dinners, tuna noodle casserole and the emergence of fast food culture. But along came Julia Child to change all that. 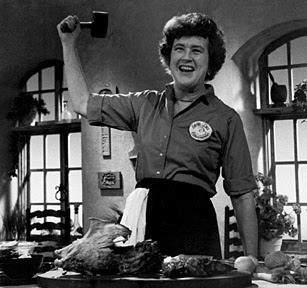 Julia Child captivated her television viewers with“The French Chef." This woman, who brought fine cuisine into the homes of average Americans, transformed the way this country thought about cooking and eating. She was an early feminist who taught women to find pride in their culinary efforts and to take charge of their lives, just as she had. Two weeks ago would have been Julia's 100th birthday. I had the honor of speaking with her several times over the years, and last week I spoke with Bob Spitz, the author of her new biography,Dearie: The Remarkable Life of Julia Child . Almost every aspect of lives moves at rapid pace. We struggle to keep up. We’re told we have to keep up or get left behind. That to delay, is to procrastinate and that just may be the cardinal sin of the digital age. But what if delay, be it a few seconds, a few weeks or more, helps us to make better decisions and achieve better outcomes? In life, in business, in the pursuit of happiness, delay may be our friend. 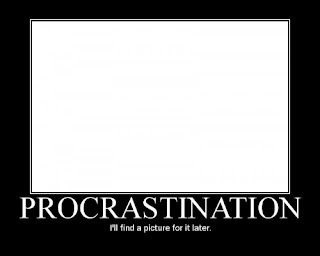 Just maybe the procrastinators know something that we don’t. Law and Finance Professor Frank Partnoy explains in Wait: The Art and Science of Delay , that delaying our responses can transform our experiences for the better. My conversation with Frank Partnoy.